Provide fast remote support to your clients, access remote computers or mobile devices, reach your website visitors via live chat, and host online meetings or webinars. From wherever you are. One ISL Online license includes remote support, remote access, live chat and web conferencing software. Start a technical support session in seconds. View the screen & control a remote computer or mobile device. Access Any Remote Computer or Mobile Device. Securely manage computers, files & apps via the Internet. Improve your customer support via Live Chat. Answer sales inquiries or provide technical support to visitors. Host Online Meetings or Webinars. Email an invitation link & communicate via chat, VoIP & video. Why choose ISL Online as your enterprise remote support and remote access service? We provide cross-platform remote desktop & mobile support software. We are not the largest remote desktop provider, yet with a 10+ years' experience you can trust our solution. The ISL Online Headquarters team & Authorized Partners are dedicated to deliver the best customer support service. SL Online cloud computing technologies are hosted by more than 50 data centers around the world, assuring 24/7/365 availability & at least 99.95% uptime. We let you choose: SaaS or Server License or a Private Cloud. ISL Online is priced per simultaneous session - the number of sessions running at the same time. The rest is NOT limited. Industry-standard (SSL) security technologies are used to protect data transfer; RSA 1024-Bit Public / Private Key Exchange is used to negotiate symmetrical AES 256-Bit end-to-end encryption. We have successfully completed countless customization projects & OEM integrations into service desk solutions, issue ticketing systems, ERP, CRM, etc. Today, over 300,000 business users like yours use ISL Online solutions on a daily basis. Start a technical support session in seconds or access an unattended computer. View the screen and control a remote computer or mobile device. ISL Light is a remote desktop solution that allows to access and control any Windows, Mac o Linux computer in seconds from any workstation o mobile device, and to remotely support users on mobile devices. Initiate a remote session with a single click and provide support to your client fast. ISL Light 4 connects to a remote computer in less than 2 seconds, allowing you to do more and wait less. Joining a remote session could not be simpler - remote clients only need to click a link sent by you via email or through a live chat. View remote computer hardware and software information to gain a fast and transparent insight of CPU, memory, data drives and other crucial information. To be more productive, organise your remote computers and servers into groups. Share a group of computers and grant secure remote access to other users by one click. Access Any Remote Computer or Mobile Device. Securely manage computers, files and apps via the Internet. ISL AlwaysOn allows you to access in seconds to your station and unattended computers for which you have been granted permission to access, upload/download files and folders, detect and solve technical problems. Even from your mobile phone. Install ISL AlwaysOn on any Windows or Mac computer to enable remote access. Run ISL Light 4 for Windows, Mac or Linux & access any remote computer from your list. Securely control & manage remote computer or exchange files. Access & control any remote computer from your smartphone or tablet. Or connect from your PC to a mobile device running Android to troubleshoot problems, setup the device or manage the data. Improve your customer support via Live Chat. Answer sales inquiries or provide technical support to your website visitors. ISL Pronto streamlines the support to your customers and visitors through the live chat embedded in your website’s pages. All you need to do is add a few lines to your website source code. The live chat button allows instant real-time communication between your website visitors & your sales & support staff. Transfer chats from one operator to another or invite other operators to help you answer demanding questions. Tailor your live chat software to match your company branding. 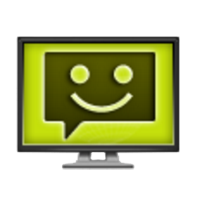 Customise the chat window, design your own click-to-chat button, & more. Display the online status of your web chat service & offer an email alternative when it’s offline. Email an invitation link to share screen and communicate via chat, VoIP and video. With ISL Group collaborative work and training have never been easier and immediate. Invite participants and create online presentations in real time directly from its interface. 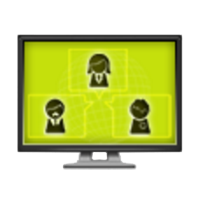 Use VoIP, video conferencing, screen sharing & file transfer. You can even record meetings for later use. Meet online with co-workers, partners, potential & existing clients to discuss business, make an interactive presentation, train your remote teams, host webinars, hold workshops, or simply work together online in a shared work space. Engage everyone to actively participate & comment in an online meeting with annotations. Try ISL Online Free for 15 Days! Talk to our experts and find out how ISL Online products can help your business improve your customer support.